iMovie has never been everyone’s cup of tea, but when Apple unveiled a completely overhauled user interface for the consumer Mac video editing software in mid 2007, many novices went scrambling in search of other options for turning home videos, photos, and music into share-worthy entertainment for friends and loved ones. Nearly a decade later, developers are still courting alienated iMovie customers with all-in-one software packages that attempt to match or possibly exceed Cupertino’s original vision. 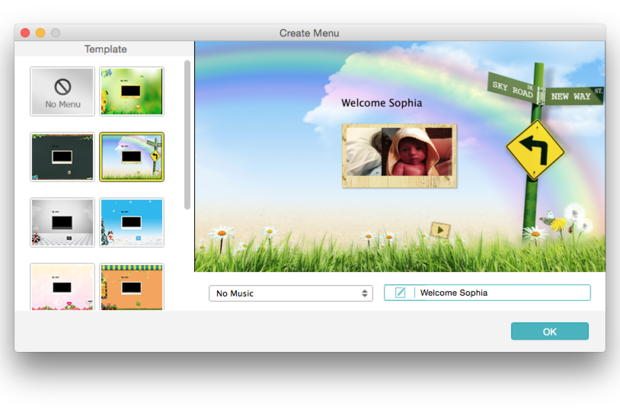 One such application comes courtesy of Wondershare, a Chinese company whose wide-ranging catalog of creative software frequently attempts to fill gaps left in the wake of Apple’s iLife suite, often with mixed results. 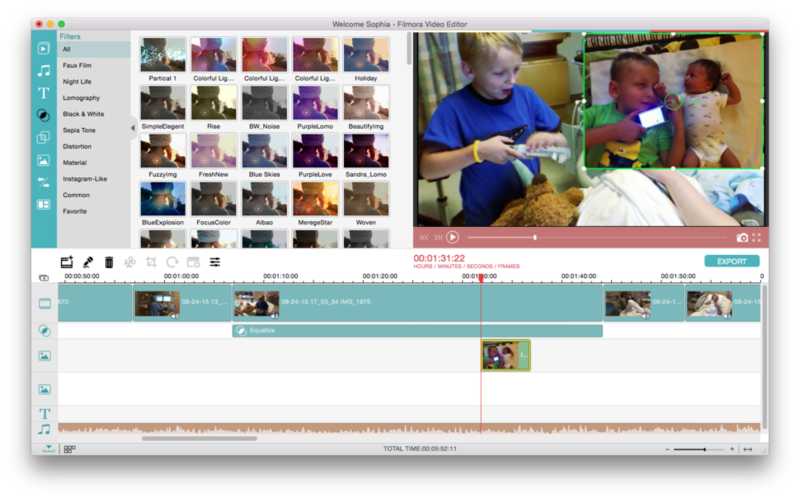 Filmora Video Editor is a versatile replacement for classic iMovie, but it lacks the polish of Apple software. Filmora Video Editor (formerly Wondershare Video Editor) is best described as a spiritual successor to the classic iMovie of the past, right down to the bright user interface and dual editing modes. For the most part, it’s as intuitive and easy to use as early versions of iMovie, even if it fails to live up to Apple’s skill at producing more refined software. In Storyboard view, users simply drop imported media into the filmstrip image wells below, then add any necessary transitions or other basic flourishes to quickly and easily assemble a video. Double-clicking a clip brings up an inspector panel where an assortment of picture or sound adjustments can be made, including brightness, contrast, hue, saturation, or rotation. In storyboard view, users drag and drop clips into Filmora’s image wells to quickly and easily create a video. For a more refined editing experience, switching to Timeline view presents a more traditional interface across the bottom of the window with separate tracks for video, effects, photos, titles, and music. From here, editors can drag-and-drop, rearrange, trim, or split clips, or even record a voiceover without leaving the application. The right-hand quarter of the screen is used to preview what’s being edited, with options to grab a still image or view playing video full-screen instead. To the left is a media browser which acts as a depository for imported clips, as well as an impressive number of built-in, royalty-free songs, titles, filters, and more. Filmora’s timeline view offers a more traditional workflow for editing clips and adding effects, photos, titles, and music. One area where Filmora attempts to leave iMovie in the dust is with features usually reserved for higher-end software, including chroma key (more commonly known as green or blue screen), picture-in-picture, and tilt shift. 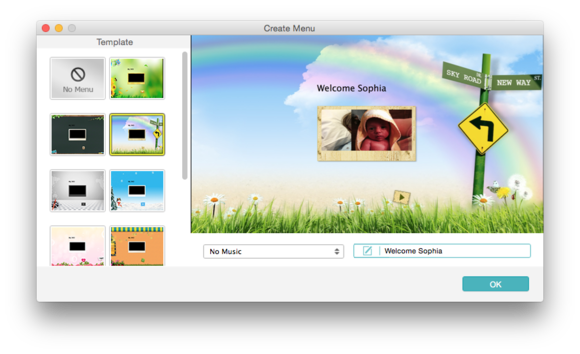 In all, Wondershare includes more than 80 such pro-level effects, along with another 50-plus transition and motion effects. 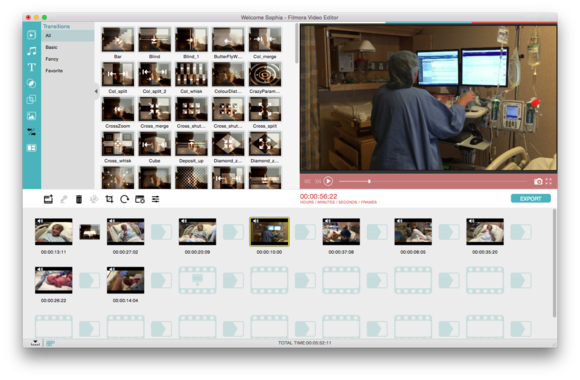 Unlike Apple’s own editing software, Filmora is very format-agnostic, supporting the likes of FLV, AVI, MKV, and WMV for both import and export, in addition to more traditional MOV or MP4 files. Unfortunately, I had no luck using QuickTime formats like ProRes—such files did import (very slowly, I might add), only to bog down the entire application and play audio with black picture in the timeline viewer. Still images are also supported, although they universally appear too dark once imported and can’t be adjusted the same way videos can. Another area where Filmora fails to rise to the challenge is support for third-party video hardware. The default audio output on my mid-2010 MacBook Pro with Retina Display is set to use a Thunderbolt-connected Matrox MXO2 Mini capture and output box, which works just fine on every other application I use, but sped up audio playback to the point where it sounded like a scene from Alvin & The Chipmunks. The only way to get things working was to quit the application, switch back to the internal speakers and launch Filmora once again. Filmora offers a wide range of export options, including file formats that would require conversion to achieve with iMovie. External hardware also can’t be used to capture media from high-end tape decks or play to video monitors. In fact, the sole capture option is a FaceTime HD camera, either built-in or via connected Thunderbolt Display. I couldn’t get the media importer (oddly named Resources in the File menu) to recognize much of anything—Photos or iTunes libraries, nor most files stored in the Movies, Pictures, or Downloads folders—but media can be added directly using the File > Import Media menu. 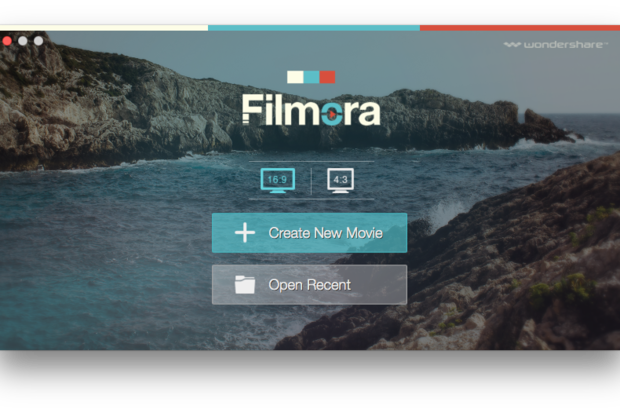 Once a project is complete, Filmora can export it in a variety of different formats, ready for viewing on iOS devices, Apple TV, Android, or game consoles. 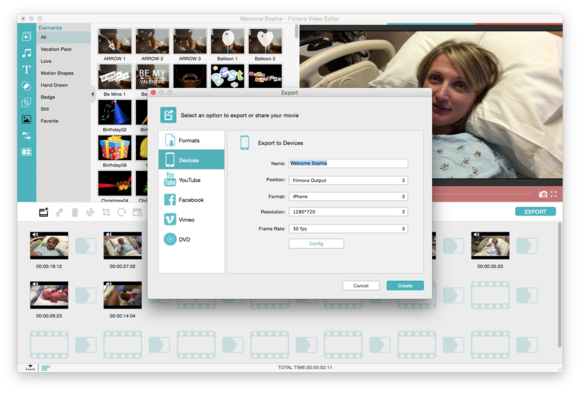 There are also direct upload options for YouTube, Facebook, or Vimeo along with burning a DVD straight out of the application using nearly a dozen supplied menu templates. 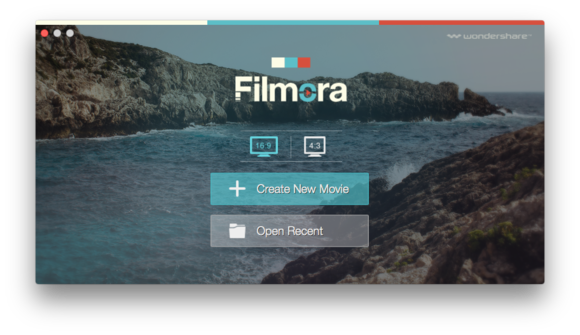 Although it offers an impressive list of features, Filmora lacks the polish of other consumer-based video editing software like Adobe Premiere Elements. It’s also quite slow while performing many tasks, particularly importing or exporting media. I’d highly recommend giving the trial version from the Wondershare website a spin before committing to a purchase, which is fully functional aside from adding a watermark to exported videos. There are nearly a dozen menu templates available for burning DVDs straight out of Filmora Video Editor. Filmora Video Editor mostly fills the rather sizeable gap left by Apple’s reimagining of iMovie and has a number of unique tricks up its sleeve, but suffers from slow performance and compatibility issues with external video hardware that make it less desirable for prosumers.